It’s that time of year once again. My favourite time of the year. List time! 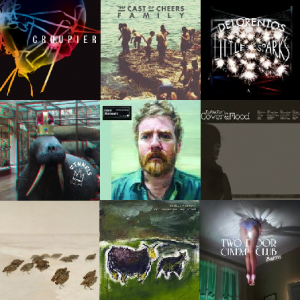 Screw Santa’s list, there’s nothing like the sheer amount of wonderful music you find by reading other people’s Best of the Year lists, and I hope you’ll find plenty of brilliant tunes and albums from 2012 on my own lists. Without further ado, here are Swear I’m Not Paul’s Best Irish Albums of 2012. Rita Jack’s Lament from Seamus Fogarty on Vimeo. 19. Logikparty – Oh Cult!